• World-famous Dynafile replaces tedious hand filing and sanding. Grind, deburr, blend, polish, finish and more! Grind from contact wheel or platen pad. Finish and polish using slack of belt. For use on metal, plastic, fiberglass, composites, rubber, glass and stone. 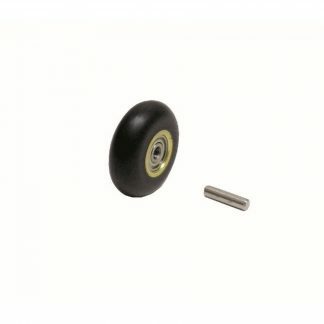 • Tool includes 11218 Contact Arm for standard use. Also accepts a variety of additional Contact Arms. Work in areas as small as 3/8" diameter. 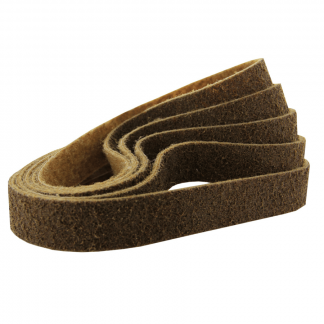 Superior belt tracking permits use of abrasive belts 1/8", 1/4" or 1/2" wide x 24" long. • Motor easily adjusts to the most comfortable throttle lever position. Lightweight composite belt guard allows quick and easy belt change! Hard and soft platen pads mount onto Contact Arms for heavy grinding or contour polishing. • Includes 14000 Dynafile with five popular Contact Arms, plus an assortment of abrasive belts, in durable case. Includes Contact Arms 11213, 11216, 11218, 11219 and 11231. • This kit is USA Government National Stock Number 5130011263260. The Dynabrade 14010 Dynafile Abrasive Belt Tool Versatility Kit, Non-Vacuum is a Dynabrade tool within the Dynafile I category of tooling range. Coated abrasives and surface conditioning material Belts of 13x610mm, 6x610mm can be used which can also be supplied by DynaShop. A Non-Vacuum tool with a maximum RPM of 20000, a power rating (hp/W) of 0.5 (373) with a weight of 1.7kg. Contact arms are able to extend the capabilities of your Dynabrade 14010 Dynafile Abrasive Belt Tool Versatility Kit, Non-Vacuum as each arm is capable of carrying out a variety of different tasks. Contact arms can make difficult to reach areas easier to access and can also be used for specific purposes such as corner weld removal, strap polishing on tubes, seam removal on pipes or deburring edges. A number of contact arms also have platen pads for flat filing, which can be purchased and replaced when worn. Please complete the form below to arrange a tool demonstration for the Dynabrade 14010 Dynafile Abrasive Belt Tool Versatility Kit, Non-Vacuum or any of the Dynabrade range of tooling. Alternatively please call us on 01273 468736.